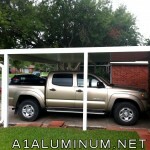 This carport had to meet 120 MPH windload to meet Texas Windstorm requirements. 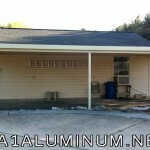 We used double 2×8 load beams. 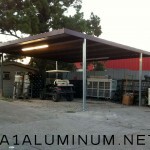 Another one we have done for Jesse over at Baytown Scrap Metal. This one is near his home. 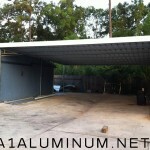 It is a 24′ x 38′ Freestanding steel carport. 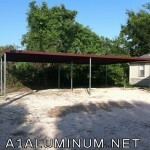 The frame is 14 gauge Red Oxide and the sheets are Galvalume.